As we are currently in Paris planning on next trip to Central Asia, we spent a lot of time indoor researching our destinations and finding the paperwork for our visa application. However, on a beautiful and sunny afternoon, we decided to leave our laptops behind and actually explore Paris. 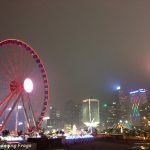 Why being in the most beautiful city in the world and staying indoor? So we headed to the nearest Paris attraction from the friend’s apartment: the Père Lachaise Cemetery. 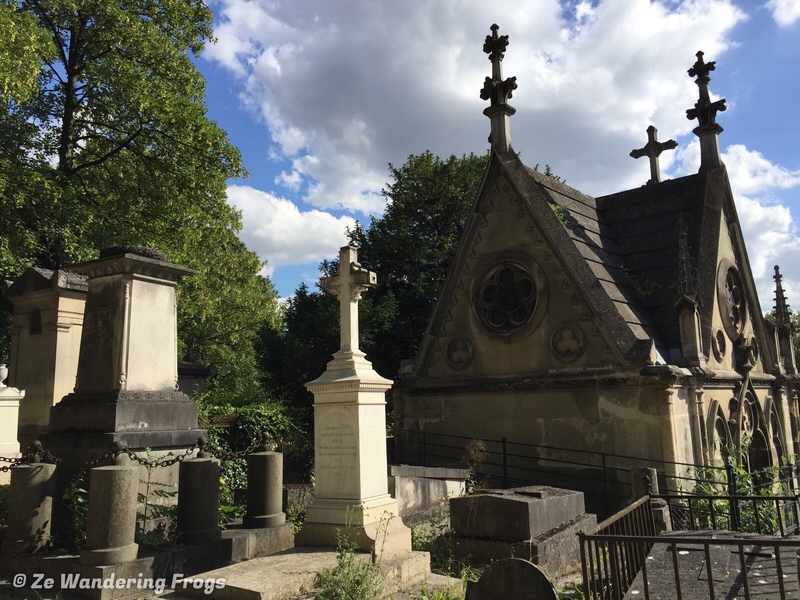 Indeed, this cemetery is one of the must-see attraction in Paris, mostly thanks to the Père Lachaise famous graves. Located in the 20th Arrondissement, the famous « cimetière » as the French call it, is huge. And large. Built on hills. With several different sections fitting of a small town. So don’t expect to do a quick visit there. Of course, you can swing your way and be done in a short time. But you will miss what the place is about. As we explored and strolled the large cemetery, we passed by tall memorials, some built several centuries ago. Entire families share the same memorials and headstones, from father to son, from mother to daughter. The neat alleys of the proud structures, memorials after memorials, made me realize that a cemetery is indeed the city in heaven. The dead live in their forever house, « in perpétuité ». Together, as a family. While le Père Lachaise Cemetery was by no mean the first we ever visited, it was the first time I got to picture one as an actual city. 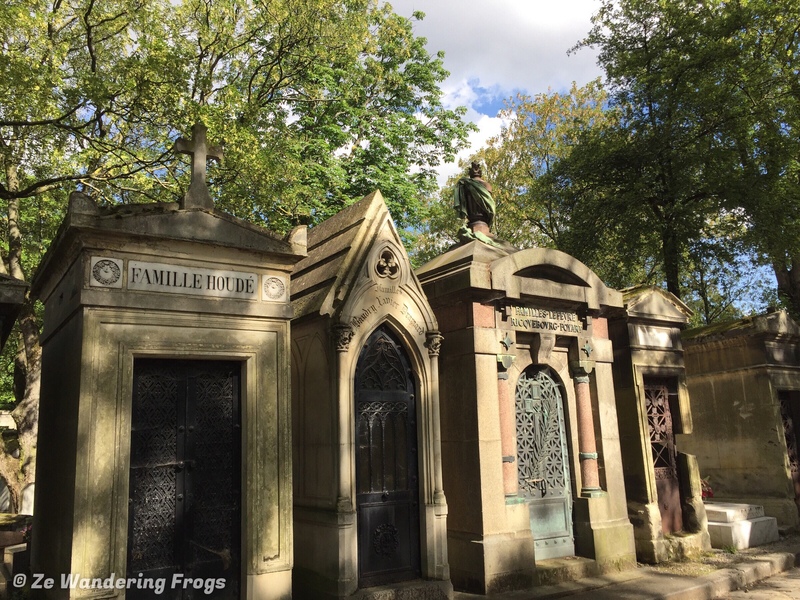 The cimetière du Père Lachaise requires several hours of your time to properly explore its grounds. 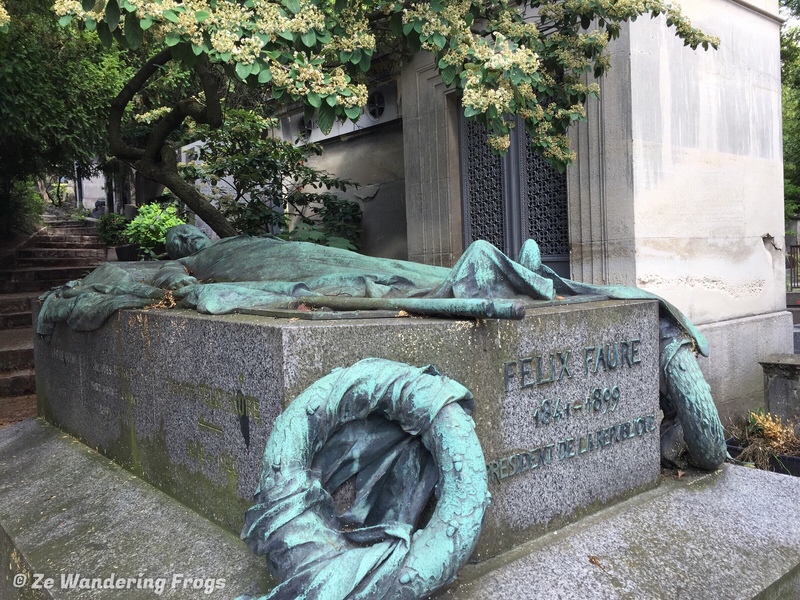 As you search for the final resting place of our favorite author like Oscar Wilde or Colette, singers like Edith Piaf or Jim Morrison, public figures like Président Felix Faure, you will get yourself lost and found again several times over. 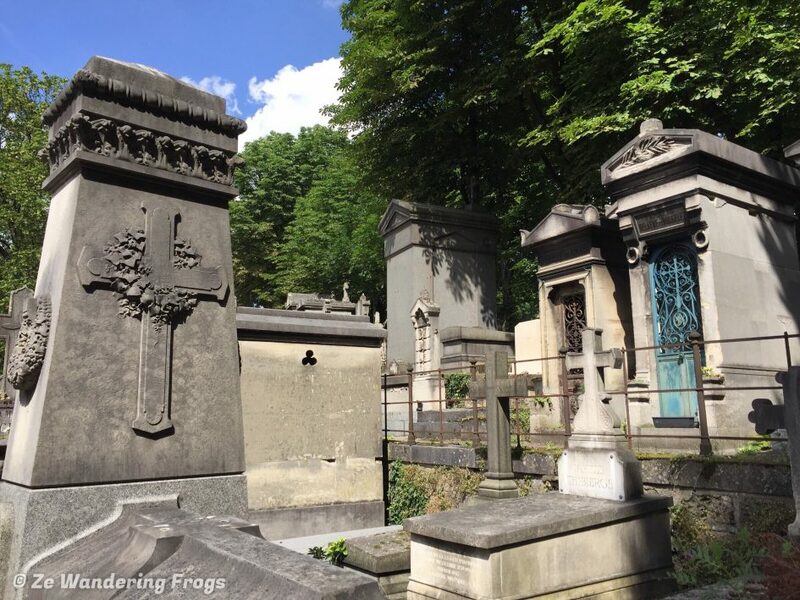 So hop over on the metro and enter the most famous Paris cemetery for an afternoon of exploration of the time past. The location is on a flank of a hill, some areas with stairs. The alleys are made of cobbled stones. This might not be suitable for strollers, or people with walking difficulties. Stay with us as we take a break from our next trip preparation to explore Paris while waiting to get for our visa to Pakistan. One of these Paris explorations includes an evening stroll along the banks of the Seine River passing by the Eiffel Tower and Notre Dame Cathedral.